Showing results for tags 'class'. Hi, I am demi! and I and my sister are opening a new school! if you want to be staff or a student, please contact demetersomnus or gomichan. I play an 8 year old child av. I use the Tweenster mesh body. I am finding it very frustrating to find school and classes for me. A lot are mostly for toodleoos and young kids. I have tried many places including HKE. One of my problems is my old computer (no I can't get a new one). So a sim with like 40 kids on it will lag me out bad. I love gymnastics but have not found any consistent classes for that. Also ballet. 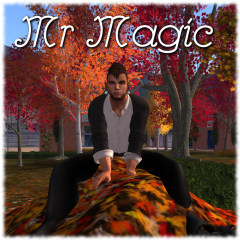 Some schools actually exclude kids with my kind of avatar (I am 4'5" in SL terms). I"d love to find a smaller grade school. Any help would be appreciated. Akashic Services By Lady Gwendolynn DeDannan Presents - Otherbeings: The Next Step In Human Evolution? Hi, all! So what exactly are the Indigo, Crystal, Rainbow, Cusp Children, Star-Seeds/Star-people, Blue-Rays, Walk-Ins, and Walk-Outs? ...Do you have constant trouble fitting in, feel out of place all the time, or ever felt so very glaringly different from your peers? -You might just be an Otherbeing! Come learn what that means from the most knowledgeable teacher on the subject, that I am honored to have at Zamargad! This class and will be taught in voice. Check out the webby for more details: https://majikvixen.wixsite.com/zamargad/upcoming-classes Lady Gwen's webby: https://gwendolynndedannan.wordpress.com/ We had so much fun at other classes, it would be a shame to miss out on this one: https://majikvixen.wixsite.com/zamargad/previous-classes Friday, September 7th, 12PM/Noon SLT http://maps.secondlife.com/secondlife/Zamargad/132/175/21 Hope to see you there with open minds and hearts! Hi, all! So what exactly are the Indigo, Crystal, Rainbow, and Cusp Children? ...Do you have constant trouble fitting in, feel out of place all the time, or ever felt so very glaringly different from your peers? -You might just be an Otherbeing! Come learn what that means from the most knowledgeable teacher on the subject, that I am honored to have at Zamargad! This is part 1 of a 2 part class and will be taught in voice. Check out the webby for more details: https://majikvixen.wixsite.com/zamargad/upcoming-classes Lady Gwen's webby: https://gwendolynndedannan.wordpress.com/ We had so much fun at other classes, it would be a shame to miss out on this one: https://majikvixen.wixsite.com/zamargad/previous-classes Friday, September 7th, 12PM/Noon SLT http://maps.secondlife.com/secondlife/Zamargad/132/175/21 Hope to see you there with open minds and hearts! Family Friendly RP High School Now Enrolling! Are you an RP teen from age 13 to 18? Are you looking for a school that is friendly, fun and safe? Do you like to attend classes, clubs, sports and events catered to the family community? Are you tired of searching for an active school, only to find that many are for adults and contain inappropriate content? Eden Valley High School is currently enrolling active students to join our school family and be a part of something great! We currently offer a wide variety of classes in a scenic and inclusive environment allowing you the freedom and creativity to be you! Want to learn how to write a bit better? There's a class for that! Love math, biology or Earth Science? We've got you covered. Want to show your school spirit, build or choreograph? Join our cheer squad or dance, we're all about it. You may think that it can't get much better than all of this but wait, there's more! Right now, we are offering a free trial day to anyone of high school RP age wanting to try us out! Yes, you heard that right, a risk-free day to see if we're the right fit for you. Click here to visit us in world: Eden Valley High School For questions or to start a FREE trial contact: Mr Magic (Iamsoo Magic) To visit us on the web: www.edenvalleyhighschool.com For an Employment Application: Click here for our application! danceclass CC Sport Center: Hip Hop Dance Class at 12 Pm slt!